Now that Italians Do It Better's hugely anticipated After Dark 2 compilation has hit iTunes, Portland group Glass Candy have shared a video for album cut "Beautiful Object." The grainy clip, like so many other videos from the label, involved filmmaker Alberto Rossini, though this one was actually directed by Martin D'Argensio and edited by Rossini. 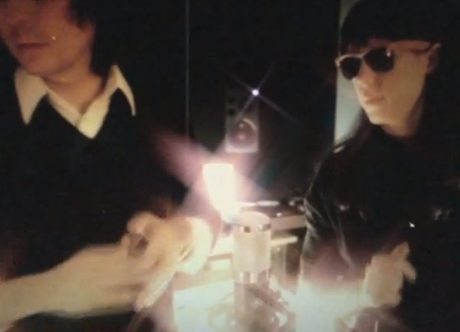 The footage, which showcases Johnny Jewel and Ida No making magic in the studio, is apparently taken straight from a forthcoming documentary about the label. Glass Candy Share Previously Unreleased "Naked City"